In this class, a variety of techniques will be taught to inspire painters of all levels to create thier own one of a kind scarf. 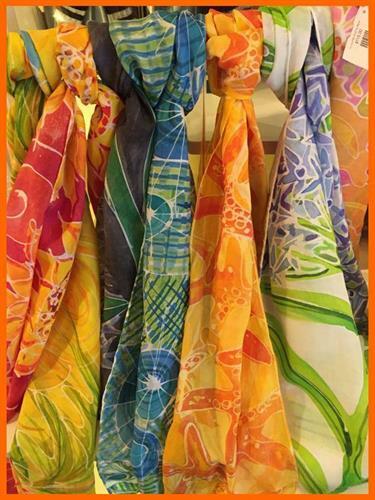 The scarves can be worn or used as art in the home. This event will take place on April 20, 2019 at 9:30 a.m. and end at 2:30 p.m.